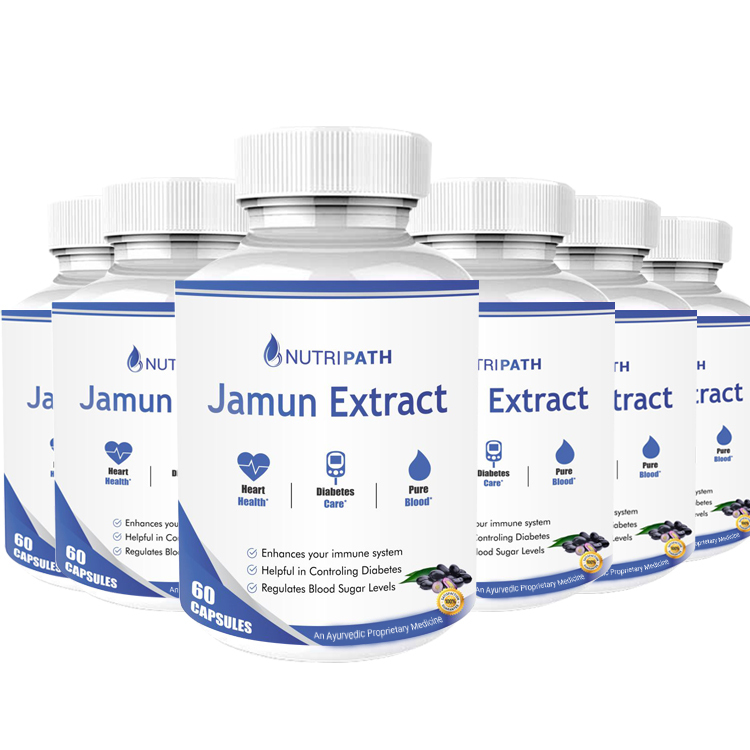 100% natural Jamun extract is used in Nutripath Jamun Extract. It is safe & side effect free. Nutripath Jamun is fortified with nutrients that enhance hemoglobin, immunity, and digestion except improving bodily internal functions. Jamun, the native evergreen tropical plant is known as Black Plum throughout the world. This summer fruit is not only tasty but also associated with health benefits. 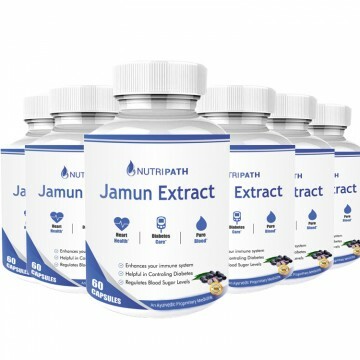 Owing to its advantages, we have brought our Nutripath Jamun Extract Supplement for all of you. This supplement is fortified with the goodness of Jamun that makes us strong from inside. When it comes to our wellbeing, Jamun plays an important role. This summer fruit promotes the healthy digestive system and is also proven helpful for urine retention. Jamun benefits are not only restricted to digestion, but it also promotes the functionality of other internal organs. To control diabetes, Jamun is highly effective. Apart from this, Jamun also enhances the texture of the skin, cures acne and reduces aging significantly. It also boosts your immune system, oral health and protects from outer harm. To get the answer, check these below-mentioned facts.